Croatia’s women entrepreneurship strategy 2014-2020 shows how a shift from assumption-based to evidence-based policy can strengthen the state’s ability to assist SMEs. More than twice the number of men than women are involved in entrepreneurial opportunities in the south-eastern European country. To address this the Croatian government has drafted a series of evidence-based strategy documents from 2010. Thus far the various strategy documents have enabled the government to make several interventions to improve the entrepreneurship ecosystem for women – by for example offering networking and support programmes, co-financing of childcare and elderly care and improving the collection of gender statistics track to the progress of interventions. Moves towards the new strategy began in 2010, when the government approved the very first strategic plan on women entrepreneurship in Croatia for the period of 2010-2013, developed by an expert team at Cepor, the country’s only small business and entrepreneurship think tank. 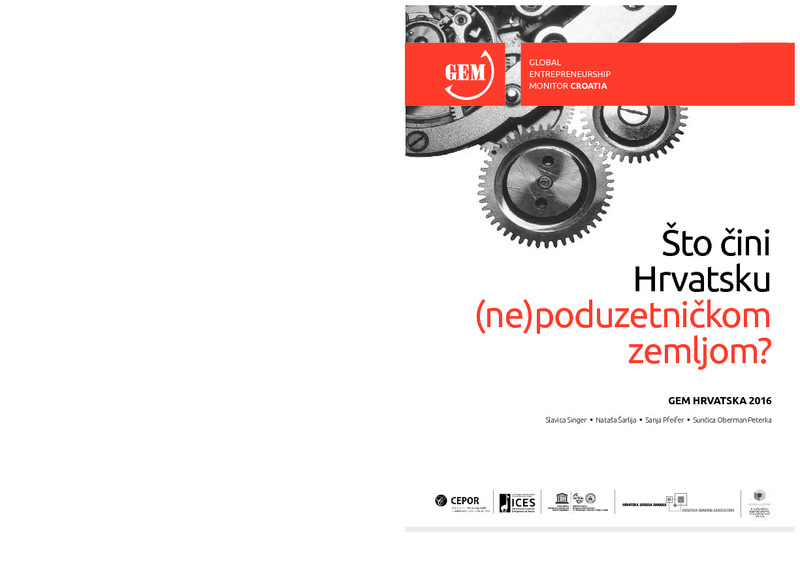 The strategy was based on evidence collected through GEM surveys (run annually in Croatia since 2002), selected best-practice examples from other countries and data collected by the Croatian Association of Business Women (Krug) on women ownership of SMEs in the period of 2006 to 2008. 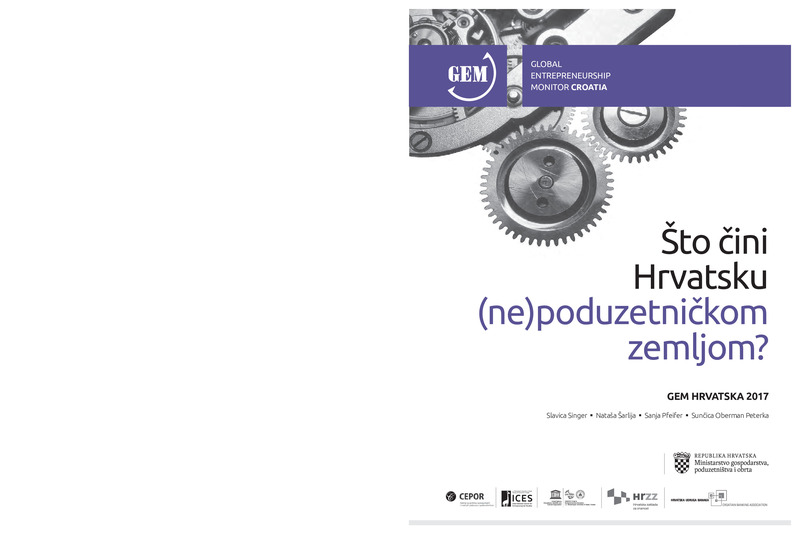 In 2014, a new updated strategic document for 2014-2020 was developed, based on research by the Cepor and GEM Croatia team. It included input from various stakeholders such as government ministries, agencies and associations gathered through focus-group discussions. The new strategy was also informed by an evaluation of the implementation of the first strategic document on women entrepreneurship. While the evaluation made use of data from Croatia’s Ministry of Entrepreneurship and Crafts on the number of beneficiaries that had accessed the various government programmes, it also relied on GEM data. This enabled policymakers to grasp the extent of the gender imbalance in entrepreneurial activities (measured by starting a business and running businesses with more impact on employment). Particularly disturbing was that gap between men and women in early stage entrepreneurial activity (the TEA indicator) had shown little indication of narrowing since 2002. In addition fragmented government programmes for women had done little to close this gap. Since 2002, the number of entrepreneurially active men, compared to those who are women in Croatia has exceeded the EU average (in 2014 for every one women who was entrepreneurially active, Croatia had 2.37 active men, while the EU average was 1:1.97). The country also had a lower employment rate among women compared to the EU average. In 2013 in Croatia it was 53%, against an EU average of 63%. The EU goal is to have the employment rate for women and men reach 75% in 2020. As a result of such evidence-based policy document, it was possible to make several interventions in building entrepreneurship eco-system which were neglected for years. These include seemingly trivial changes such as introducing information on the gender of business owners for statistical reporting, to establishing a co-ordinating body to help group together support programmes for women under the strategy on women entrepreneurship development for 2014-2020. 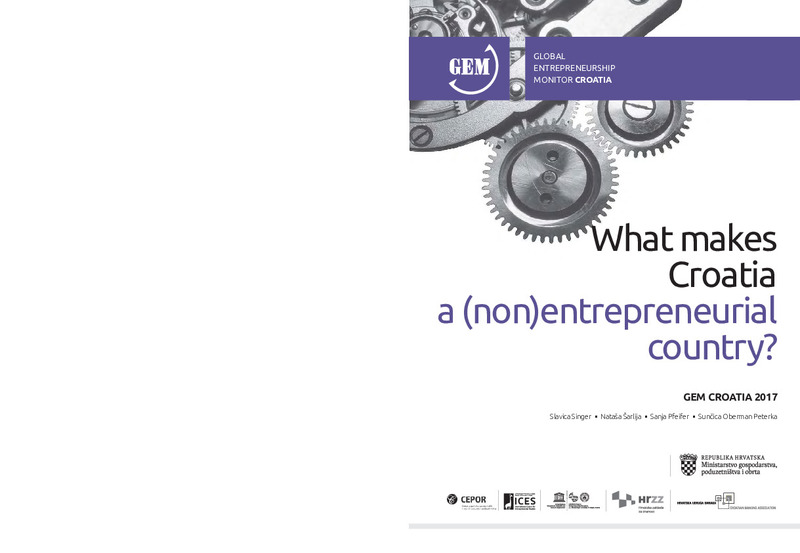 The methodology used in developing the 2014-2020 strategy (using a combination of GEM research results and a participative approach in identifying barriers and proposing solutions) helped stakeholders see that women are not any less entrepreneurial because they do not know how to be an entrepreneur or that they do not want to become an entrepreneur. Rather the traditional role of women’s responsibility to look after children and the elderly often left them with less time for entrepreneurial ventures, while being limited by things such as access to finance because many don’t have the necessary collateral to secure loans. Understanding how gender issues act to exclude women from entrepreneurial activities, enabled the government to offer programmes for co-financing of services for childcare and care for the elderly, especially for unemployed women who are planning self-employment. It also contributed towards the development of networking and mentoring or coaching programmes for women that wish to start or grow their business. While basic data pointing to gender imbalances was always available in Croatia (that pointed out for example that women held a lower share in employment and made up a lower share in executive positions), not enough information existed to explain why this was so. The absence of statistics on the gender of business owners only helped support assumption-based policies. Secondly, the government relied more on sporadic surveys or political assumptions when it sought feedback on the effectiveness of its interventions. These were often only focused on one or just a few dimensions gender issues. Thirdly, self-evaluations of government policies and programmes were limited in their ability to identify problem areas because the state often used indicators with limited scope. For example by listing the share of women beneficiaries of different government programmes in the implementation period of the first strategy (2010-2013) as 41%, but not explaining why women only got 19.4% of all available financial support. Croatia still has some way to go however. While perception of support for women in starting a business has improved slightly between 2010 and 2013, it is still lower than the level in all GEM countries (which has also increased over the same period). Important too will be for the Croatian government to ensure that it has sufficient co-ordination capacity to link together its various policy interventions, while maintaining a suitable evaluation mechanism with which to track the progress toward identified goals. In addition it is not enough for governments to simply count the number of beneficiaries and amount of money distributed to beneficiaries. Better would be to track how many have started businesses, how many jobs have been generated and how many are able to participate in international markets.